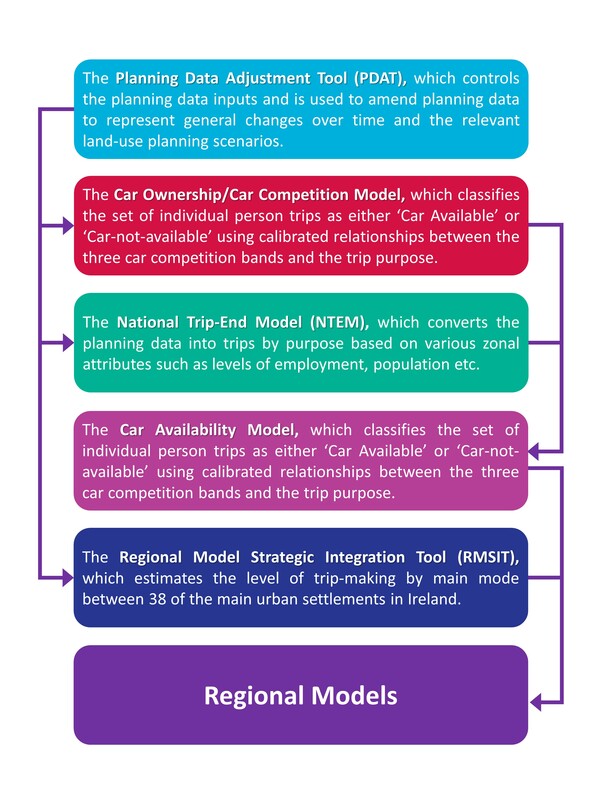 The National Demand Forecasting Model (NDFM) utilises planning data to output levels of travel demand at the smallest available spatial aggregation (Census Small Area) for input into each of the Regional Models. This demand is derived using a number of modelling components. The diagram below outlines the key components of the NDFM and the interactions between each. The NDFM report is available on request.